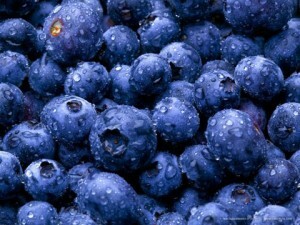 08-23-11 | Posted by L.A.
Doctors and nutritionists tout the myriad benefits of blueberries. 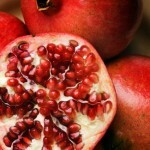 This summer fruit is a favorite for smoothies, pies and jams, but also has hidden assets. Blueberries are high in antioxidants, which fight the free radicals that roam our bodies causing havoc with healthy cells. Similar to red grapes, blueberries contain high levels of resveratrol in their skins. So if it’s such a good idea to make blueberries a part of your daily diet, we wondered — why not use them in your daily beauty regimen, too? 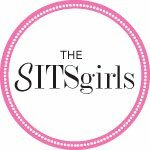 We are very happy and excited to report that there are a slew of wonderful products on the market. Here’s a roundup of some of the standouts. 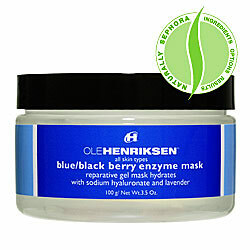 Enjoy the benefits of the Ole Henriksen Blue/Black Berry Enzyme Mask. This aromatic gel mask will renew and condition sensitive skin with a calming blend of lavender, papaya enzyme, blueberries and blackberries to relieve facial stress and deliver smooth and soothing skin. $32 at http://www.olehenrikson.com/. 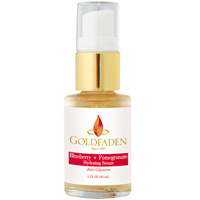 Goldfaden Blueberry and Pomegranate Anti-Glycation Hydrating Serum is a natural anti-aging treatment serum for all skin types. 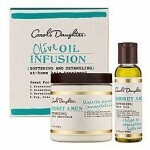 It repairs and protects collagen fibers to diminish the appearance of fine lines and wrinkles for a more youthful look. $65 for 1 oz. 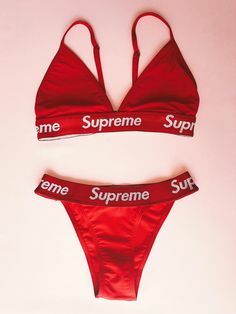 at http://www.skinstore.com/. 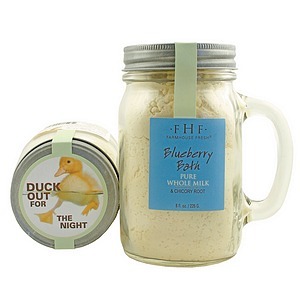 Suspend time as you soak away stress in FarmHouse Fresh Blueberry Powder Milk Bath. The fine powdered milk-based product is rich in essential amino acids, vitamins and the sweet buttery fats that make milk the ultimate skin softener. The 16 oz. reusable vintage-style glass mug holds enough for 8 deep-tub baths. 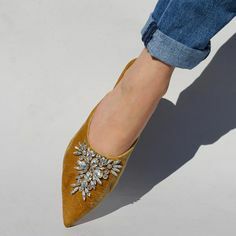 $22.40 at http://www.drugstore.com/. 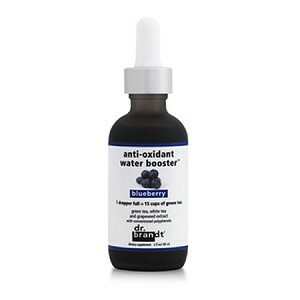 Dr. Brandt Antioxidant Water Booster Blueberry is a dietary supplement designed to give a boost without the need for caffeine or sugar. This effective drink protects the skin from damage caused by environmental pollutants, which can make sin look dull and lackluster. One dropper full in 8 ounces of water twice daily leaves skin looking radiantly healty. $39 for 2 oz. 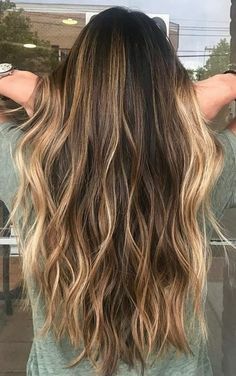 at www.essentialdermcare.com. You will love the results you will get from using Bubalina Blueberries Body Scrub. Your skin will have an amazing and healthy glow. As dead cells fall away with this lovely scented scrub, new skin will be revitalized for a more youthful appearance. SPF from the Shea Butter protects skin and slows the aging process. $24 for 6.1 oz. 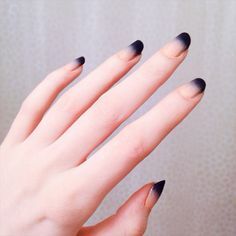 from www.bodywashsupplies.com. 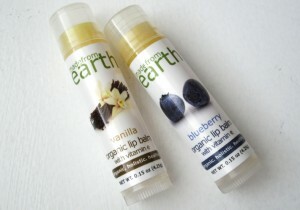 Blueberry Lip Balm from Made of Earth is designed to heal lips while providing a juicy blueberry flavor. This flavorful lip balm spreads like butter on your lips to keep them moisturized up to five hours. Made of all-natural organic ingredients, Blueberry Lip Balm is completely free of chemicals. 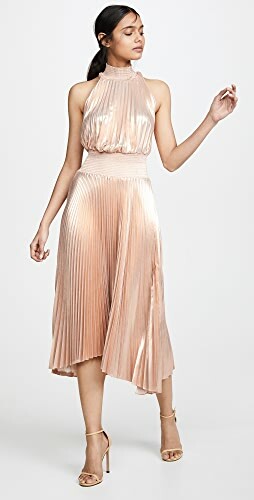 $4.99 from www.madefromearth.com. Just say yes to Yes To Blueberries Overnight Hydrating Cream. This ultra rich cream uses shea butter to moisturize, smooth and hydrate skin. Apply before bedtime to calm and protect skin from environmental damage and moisturize while you’re in dreamland. $15.99 for 1.7 fl oz at http://www.yestocarrots.com/..
Eminence Blueberry Shimmer Lotion uses blueberry juice to tighten pores along with mica, a natural mineral, to add shimmer to your skin. Alpha lipoic acid delivers a balanced mix of essential antioxidants and effectively combats free radicals. Use daily for the best shimmery results. 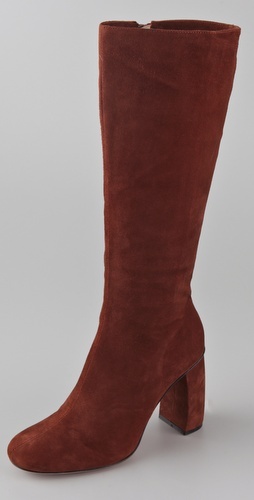 $36 from www.beautyelements.net. 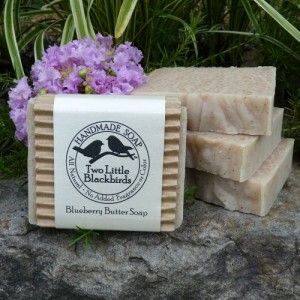 Blueberry Butter Soap from Two Little Blackbirds has a rich, creamy, skin-loving goodness. 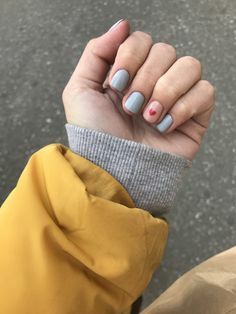 The ingredients include a blend of shea butter, jojoba oil and blueberry fruit, which is rich in anti-inflammatory properties. Wash with goodness for only $6 for a 5.5 oz. bar at www.artfire.com. The Body Deli’s incredibly delicious Blueberry Fusion Exfoliating Fruit Acid Facial Polish exfoliates with the acids naturally found in fruit to make your skin smoother than ever. Thanks to antioxidant-rich organic ingredients like jojoba, rose hip, and blueberry, there’s absolutely nothing unhealthy about this scrub and every reason to use it! $36 for 2 oz. 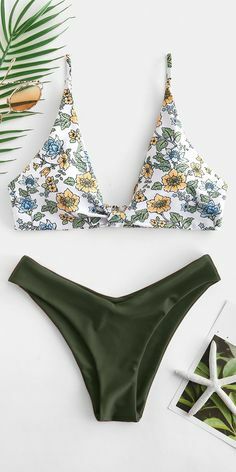 at www.thebodydeli.com. 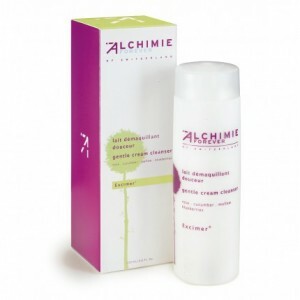 Alchimie-Forever Gentle Cream Cleanser glides on evenly to remove impurities and all traces of makeup from face, eyes, and neck then washes off with water to leave your skin silky and luminous. The blueberry extract brightens, while rose extract softens and enhances elasticity. Hydrating and soothing, this antioxidant cream cleanser is gentle enough for the most sensitive skin. $39 for 6.6 oz. at www.alchimie-forever.com. 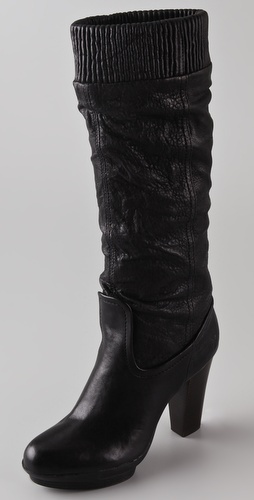 Shop Black Long Sleeve Mini Dresses, Wedge Pumps Shoes, Black Turtleneck Sweaters, Navy Leggings and more. Get this widget.